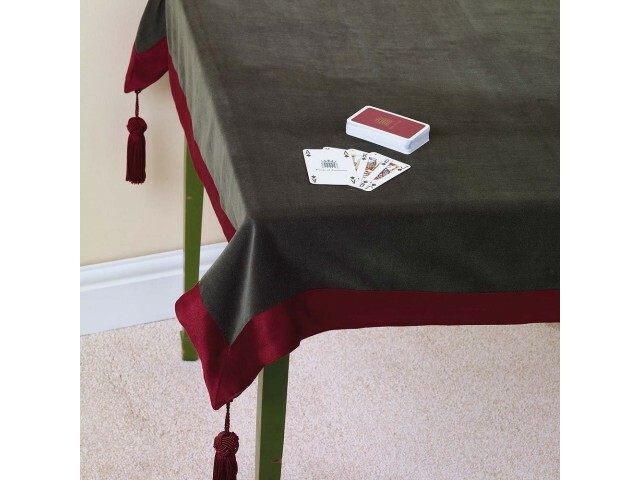 Bridge or card table cloth in 100% cotton velvet with a contrast colour border. 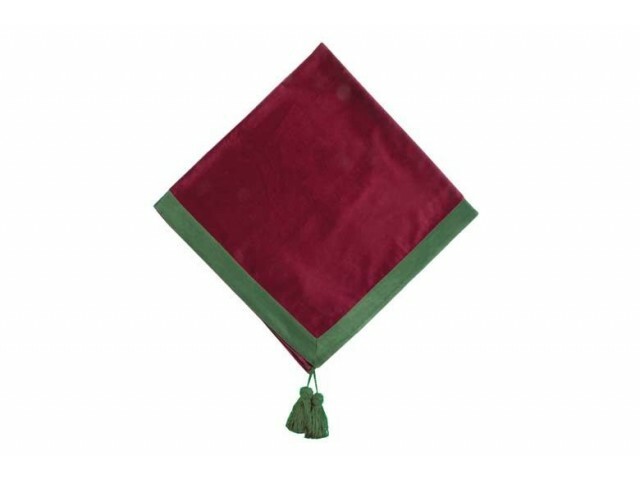 Detachable tassels to weight the corners. 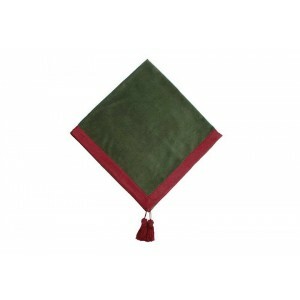 An ideal gift for a keen card player. 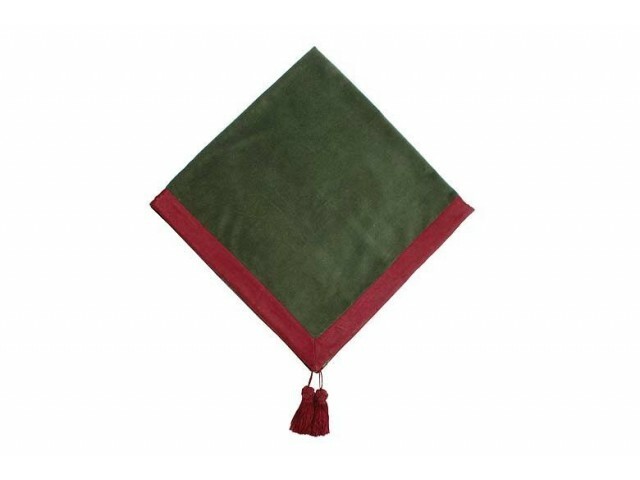 Available in Dark Green with Red border OR Rich Red with Green border, select from the drop down menu. Dry clean only, iron on reverse.